Excelente lugar para minerar é em Vashj'ir, mais exatamente em Vastidão Cintilante. Há muitos nodes e o respawn rate é bastante alto, ou seja, eles reaparecem muito rapidamente. Abração pra todos; espero ter ajudado! 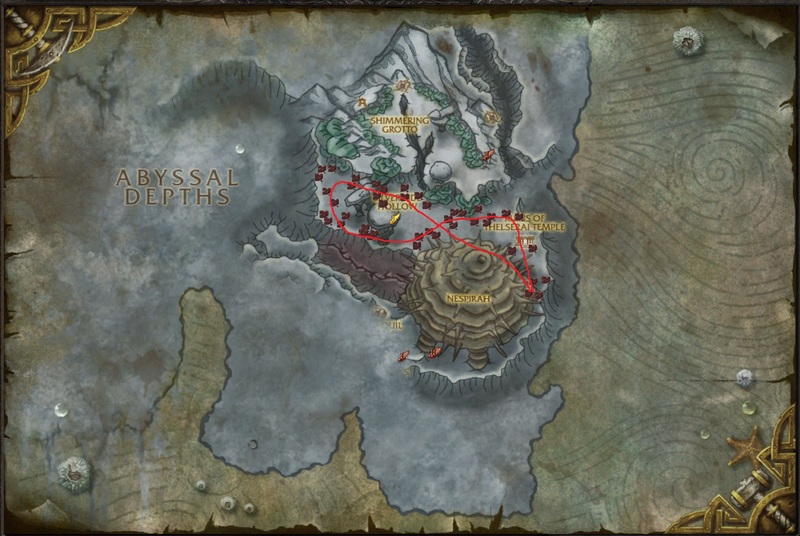 Stay north of Nespirah (I found that south of her was a total bust except for the accidental acquisition of :) ) and pretty much just run back and forth on that west to east route and back. This is also around the ER base Silver Tide Hollow (coords 50.70,41.00), which is their main base that has their quartermaster, so that should help with the 'swim paths' if you need it. I'm turning my rogue into an engineer for Legion and needed 60 Barra de Obsídio to level up. Everyone on Wowhead said Silvertide Trench. It took 13 minutes to get 120 Minério de Obsídio (60 bars). Knowing leveling profs never goes right, I grabbed another 40 ore, which took an additional 3 minutes. If you're looking to farm a good amount of these in Vashj'ir, you want to make sure you're using the Vashj'ir Seahorse mount. You might have other underwater mounts, but they will only move at 270% speed compared to 371% speed for the quest mount. 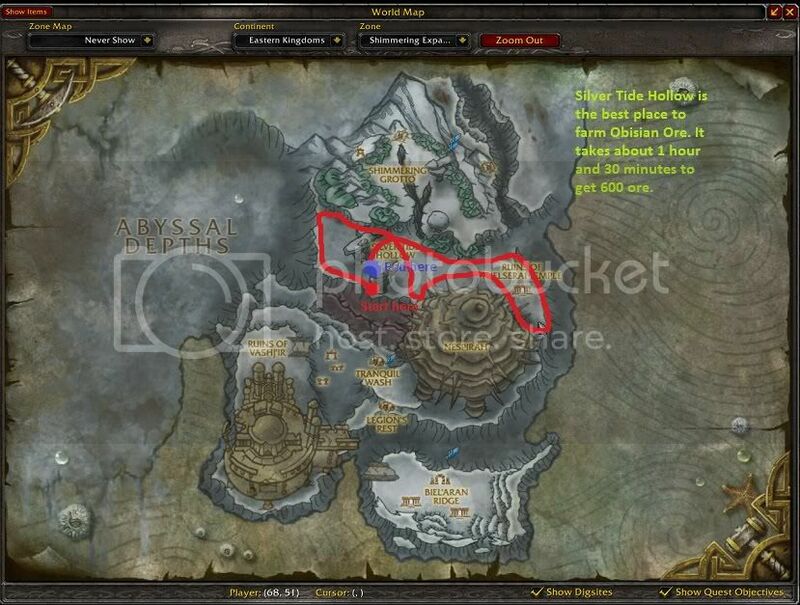 It takes 10-15 minutes doing the questline for mount if you don't already have it. Exception if you're a druid, because your travel form is much faster than any mount in Vashj'ir water.